Schoolyards have the potential to be vibrant extensions of the learning environment, filled with engaging opportunities for physical activity, play, outdoor learning and connection with nature. Boosting physical activity. CPS has recently taken steps to expand opportunities for physical activity through recess and PE. But many schools lack the infrastructure—both indoor and outdoor—to make this a reality. With features ranging from playgrounds to running tracks and grassy fields, well-designed schoolyards provide space for health-promoting and brain-boosting activity. Nurturing social-emotional development. Research shows that a well-designed playground can reduce bullying while providing opportunities to develop social skills. Plus, access to nature is linked to a host of academic and emotional benefits. Supporting learning. 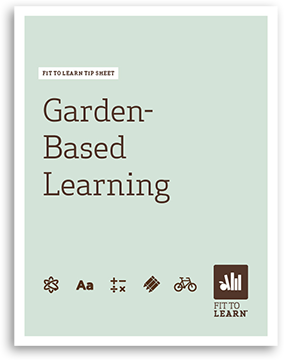 From science lessons in a school garden to learning how to grow and identify healthy fruits and vegetables, a well-designed schoolyard is a true extension of the classroom. Reconnecting communities with local schools. Schoolyards provide welcoming space for community activity and can host programs such as fresh vegetable delivery. Creating space for the arts. Schoolyards often bring public art into communities and provide space for art-related activities such as theater and musical performances. Addressing disparities in access to green space. Schoolyards can provide green space in otherwise heavily urbanized neighborhoods and can play a role in addressing the disproportionate lack of access to playgrounds and parks that residents in some Chicago neighborhoods face. Improving stormwater management and reducing flooding. CPS schoolyards comprise over 1,000 acres of impermeable surfaces in a highly urbanized area. Transforming schoolyards with special materials and surfaces that absorb and filters rainwater can make a significant contribution to the city’s water management efforts. 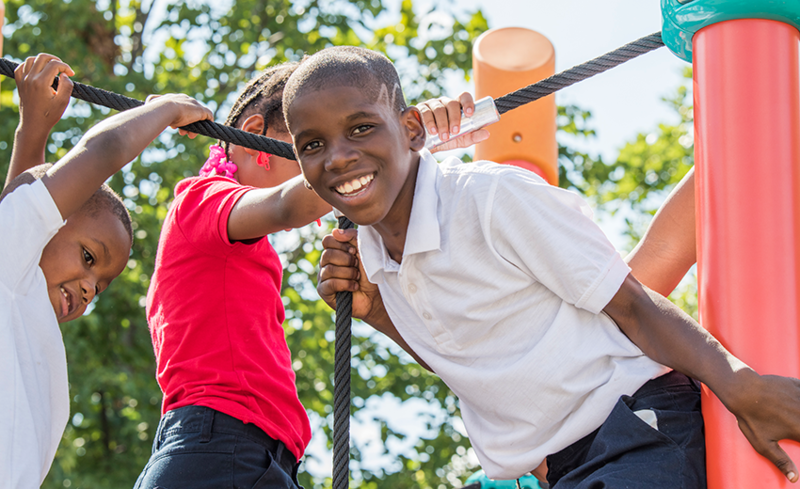 In recent years, CPS has taken significant steps to support the health and long-term wellness of the city’s students. This includes bringing back recess, expanding PE, supporting school gardening, adopting a strong Wellness Policy and improving nutrition standards for school food. Nearly all of these initiatives can be enhanced through the transformation of a school’s outdoor space. 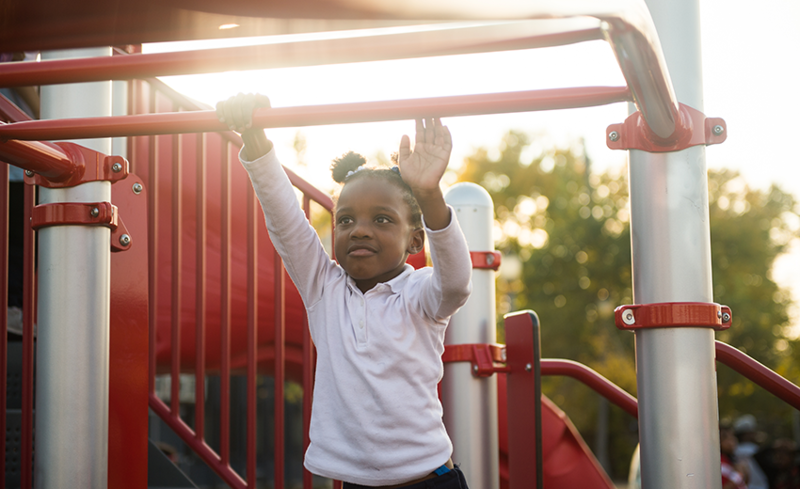 Despite this progress, schoolyards at the majority of the city’s elementary schools are not yet adequate for supporting vibrant recess and PE programs. Many schools lack playgrounds or green space altogether. In many cases, schoolyards were paved to create parking lots years ago when recess was phased out across the district. In low-income communities that already face disparities in access to parks and green space, this problem is especially significant. CPS is becoming a leader in addressing this challenge by engaging the community in creating vibrant green schoolyards through Space to Grow. Space to Grow is an innovative program led by Healthy Schools Campaign and Openlands to bring the many benefits of green schoolyards back to Chicago schools. Space to Grow uses a unique model that brings together capital funds and leadership from Chicago Public Schools, the Chicago Department of Water Management and the Metropolitan Water Reclamation District of Greater Chicago. This effort transforms more schoolyards every year. Learn more about Space to Grow. Through our Space to Grow program, HSC is working with Openlands to transform Chicago’s schoolyards and contribute to the emerging national dialogue on the value of green schoolyards. Space to Grow uses a unique model that brings together capital funds and leadership from Chicago Public Schools, the Chicago Department of Water Management and the Metropolitan Water Reclamation District of Greater Chicago. Space to Grow also engages nonprofit partners to support wellness at each schoolyard. This approach reflects our commitment to bringing together diverse groups of stakeholders to make sustainable health-promoting changes. Our approach to transforming schoolyards is based on our effective and tested model to engage, advocate and build. Engaging school and community leaders to define the schoolyard characteristics that are most important to their needs and engaging in the schoolyard design process. Engaging educators with the knowledge, skills and physical infrastructure to boost student health and learning through outdoor experiences. Engaging students, parents and community members to take part in health-promoting experiences that green schoolyards bring to the heart of the neighborhood. Advocating for investment in schools and infrastructure in under-served communities. Advocating for the voices of community members to be recognized and valued by decision-makers, by structuring each schoolyard transformation around an inclusive process in which each community defines its needs and priorities for the space. Advocating for inclusion of health and wellness on the agenda of organizations focused primarily on environmental and land-use issues. Hosting community planting days and workshops to educate community members about their schoolyard’s unique features and how to properly maintain them. Building the unique public-private partnership behind Space to Grow, which brings together stakeholders who recognize the broad and diverse set of benefits that green schoolyards bring to our city and our neighborhoods. Building educators’ capacity to make the most of their schoolyards through professional development that provides knowledge and skills specific to outdoor education. You can make a difference for green schoolyards in Chicago and beyond. If you’re interested in learning more about our Space to Grow program, or how our unique schoolyard model might work in your community, contact Meg Kelly. Celebrations and fundraisers are a big part of school culture. Help students make nutritious food choices throughout the school year! Schools have many options for celebrations and for successfully raising money while keeping school wellness a priority—without relying on unhealthy foods. When schools reinforce healthy habits, students learn consistent lessons that can last a lifetime. School gardens allow students to participate in hands-on activities. School gardens can strengthen academic and social skills as well as allow students to develop life skills in areas such as nutrition, leadership and decision-making. Through a school garden, students can learn about and practice healthy behaviors in an exciting, hands-on way. Chicago Public Schools supports more than 400 schools with a school garden through various initiatives. Visit the Space to Grow site to learn about this innovative program transforming Chicago schoolyards into vibrant green spaces to play, learn and be outside. The schoolyards promote physical activity, outdoor learning and community engagement while absorbing large amounts of rainwater to reduce neighborhood flooding. The site features school profiles, photo galleries, resources for schools, news, events and more detail about this innovative model for transforming schoolyards. Space to Grow is a partnership led by Healthy Schools Campaign and Openlands, using a unique model that brings together capital funds and leadership from the Chicago Department of Water Management, the Metropolitan Water Reclamation District of Greater Chicago and Chicago Public Schools. Healthy Schools Campaign and Openlands are pleased to announce the release of Green Schoolyards: A Growing Movement Supporting Health, Education and Connection with Nature. This new report documents the journeys and lessons of green schoolyard programs across the country and is informed by a rich dialogue that has been taking place at the national and local levels about how to help children, families, schools, communities and our environment thrive. It shares information and stories as well as tangible steps communities can take to develop their own green schoolyards. The Metropolitan Water Reclamation District of Greater Chicago (MWRD) has partnered with Openlands to produce a “how-to” video demonstrating a proper rain barrel installation. 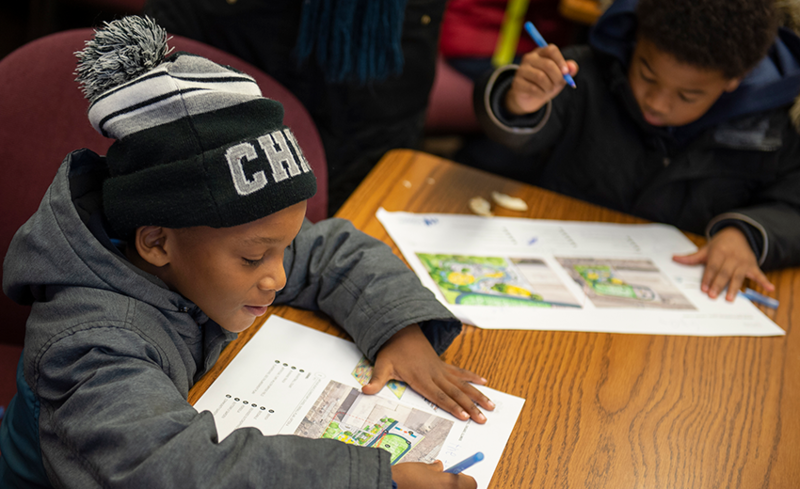 Space to Grow is a Chicago-based initiative working with many of the city’s low-income communities of color to transform underutilized schoolyards into inspired playgrounds for students and vital outdoor places for the whole neighborhood to get together and reconnect with nature. A thriving edible garden can awaken students’ natural curiosity, help increase fruit and vegetable consumption, and engage faculty and parents across the curriculum and community. GrowWELL provides resources to support the maintenance and academic integration. 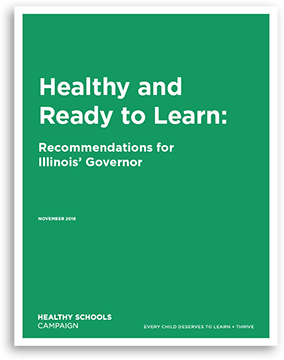 Additionally, GrowWELL outlines strategies to use your school garden to become LearnWELL and align with the Chicago Public Schools (CPS) wellness policies. Whether you are a seasoned green thumb or have trouble using a watering can, GrowWELL provides tools for the full spectrum of gardeners.